Last Friday, I wrote an article about the "afrolicious" front cover of the "An O Extravaganza: Let's Talk About Hair" O,The Oprah Magazine issue. If you were anywhere near as excited as me, you found yourself almost dancing to the store to pick up the September issue of the magazine, lol. Today, I purchased my copy. While I was paying for mine, a woman came in the store and asked me where did I get it from. I guess she too, danced her way into there lol. 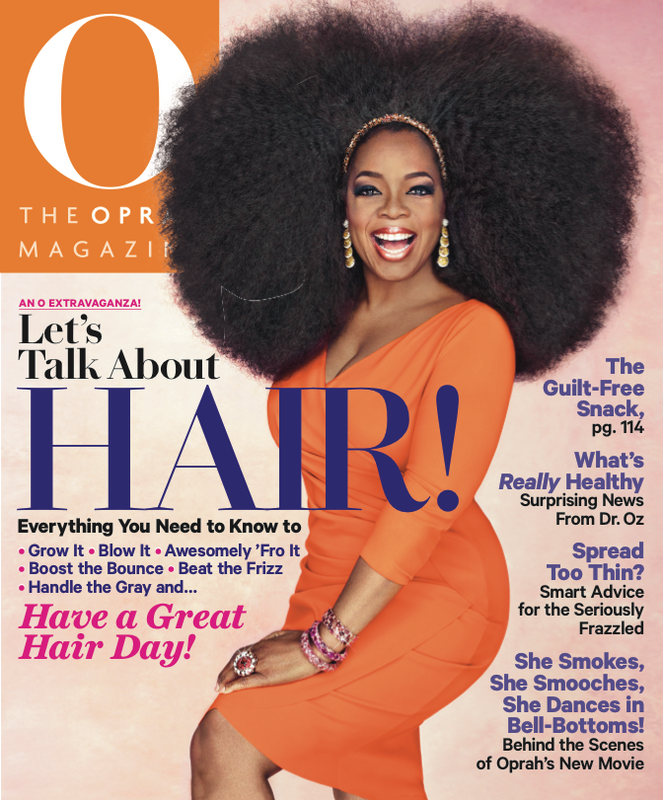 Although Oprah Winfrey rocks a mean afro on the front cover, it is not an indication that the issue is solely about natural hair; it is about hair overall. I was pleased to find that there is a section about natural hair. I thought it was cool that the "Let's Talk About Hair" issue also includes subjects (but are not limited to) balding, coloring, weave, hair products, and cutting hair. I would have liked to see a bigger section for natural hair, but I think the issue is good and well worth the $4.50. Plus the front cover is classic! Did you pick up your copy yet? What did you think?